Although she's only 8, Addy has physically outgrown the offerings of the Disney Store and its affiliates. But . . . she still wants to dress-up like a princess. What's a grandma to do?? 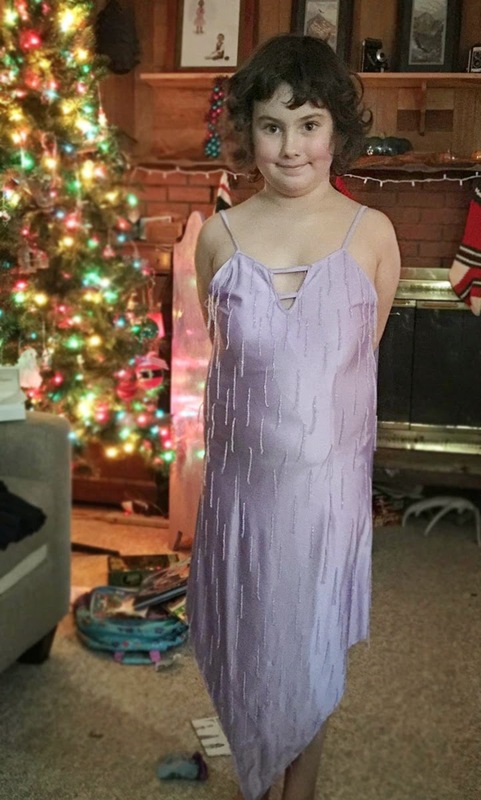 Prom dresses to the rescue! 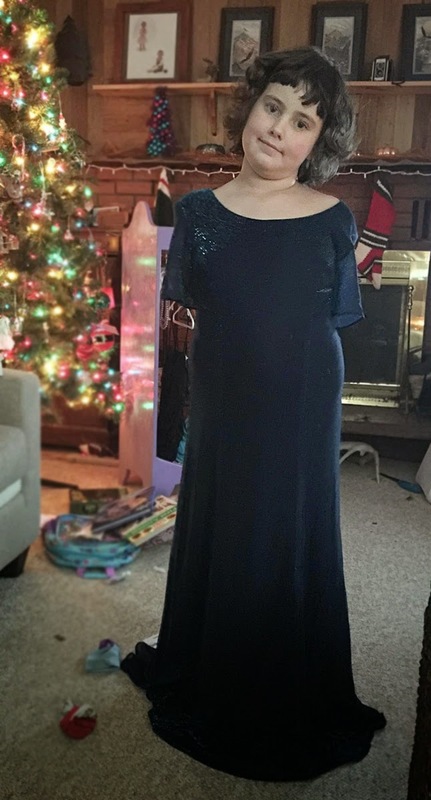 What I thought would be Addy's fav dress; long, blue and sparkly. 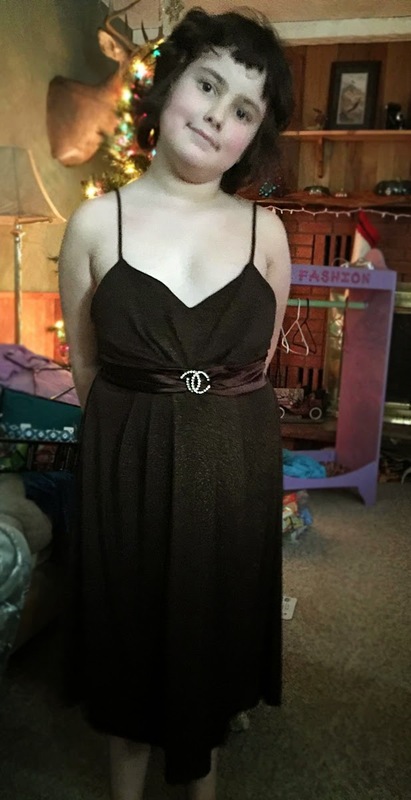 I checked out some local thrift stores and found several dresses that fit the princess theme. And shoes - one Cinderella pair (ok, they were clear plastic, but looked like glass); one with high stiletto heels; a pair of sparkly, jeweled sandals. 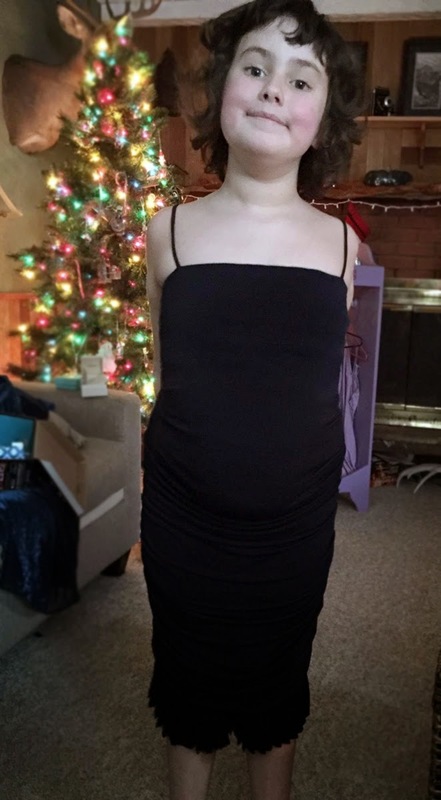 Rachel found this little black dress. 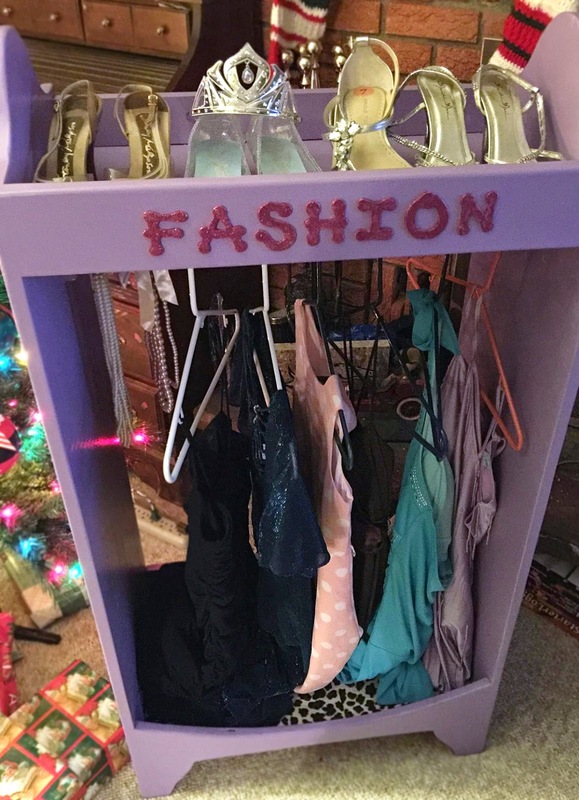 Rachel added some fancy necklaces, and found a princess wardrobe on Craigslist to neatly hold all the treasure. And Addy's reaction Christmas morning? Everything I'd hoped for, and more. 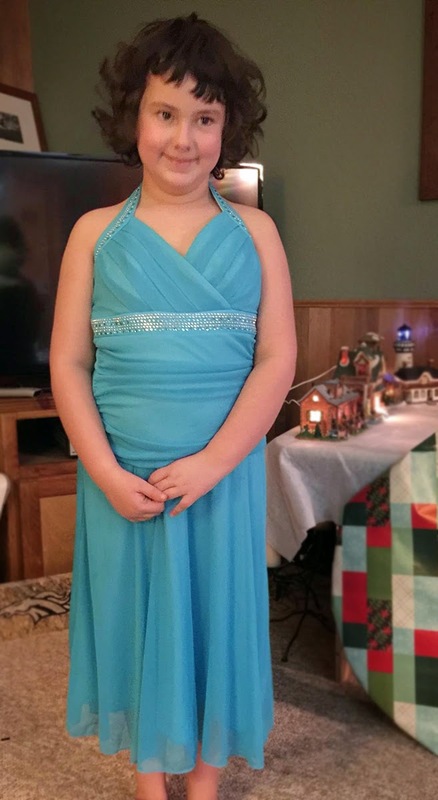 So happy my little big princess can still play dress-up.